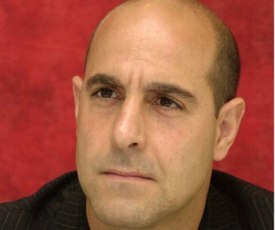 ASPEN – Aspen Film will honor actor-director Stanley Tucci with its Independent by Nature Award at Aspen Filmfest 2009. Tucci, currently featured in the film “Julie & Julia,” will be honored on Oct. 3 at the Wheeler Opera House in an event that features a reel of highlights from his films and an on-stage conversation.Tucci’s film credits as an actor include “The Devil Wears Prada,” “Road to Perdition” and “The Terminal.” He wrote, directed and appeared in the award-winning 1996 film “Big Night.” Upcoming projects include an appearance in “The Lovely Bones,” adapted from Alice Sebold’s novel and directed by Peter Jackson, and “Blind Date,” which he co-wrote, directed and stars in, opposite Patricia Clarkson.Past Independent by Nature honorees include Bob Rafelson, Michael Douglas, Rob Reiner, William H. Macy and Julie Christie.The 31st Aspen Filmfest runs Sept. 30 through Oct. 4, with presentations at the Wheeler Opera House and Isis Theatre in Aspen, and at the Crystal Theatre in Carbondale. Among the films to be screened are the Sundance Grand Jury Prize winner “Precious”; “An Education,” a U.K. drama set in the early ’60s; and “More Than a Game,” a coming-of-age basketball documentary that features Lebron James. The full program will be announced over the Labor Day Weekend, and tickets will go on sale Sept. 21. For further information, go to aspenfilm.org.